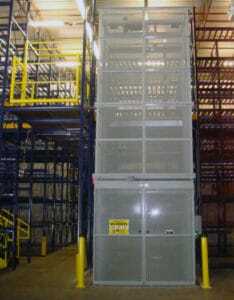 In a multi-level system, cartons are accessed by hand via intermediate catwalks. 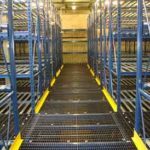 With systems up to 100 feet tall, a multi-level system can also incorporate vertical reciprocation conveyors, chutes, and/or pallet drop areas to allow the cartons to be transported from the catwalk levels to the ground. 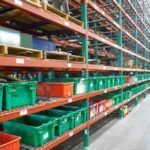 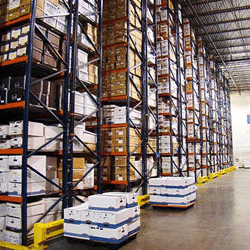 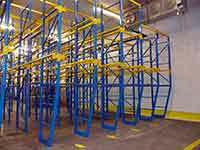 Multi-level systems utilize pallet rack and store an estimated nine or ten boxes wide x three or four deep x three or four high per shelf. 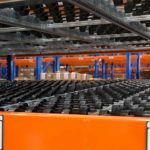 These systems offer high carton capacity and allows for an unlimited number of personnel to be involved in the picking process at all levels, therefore minimal equipment is needed to operate the system. 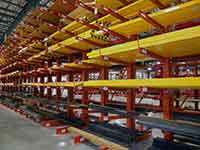 DO YOU NEED CATWALK RACK? 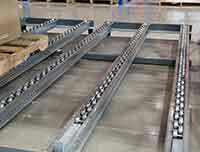 If you need a complete catwalk rack system, we can help. 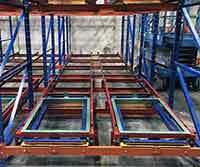 We've been creating high density catwalk storage systems for more than 50 years.